Why not get your holiday off to the best start with Compare Parking Deals? This is your gateway to simple airport parking solutions, where you are guaranteed to find the best value for money across an array of convenient UK Airport locations. By regularly checking the prices of its parking providers, Compare Parking Deals will always guarantee to give you the best in quality and the cheapest deal. For every traveller, there is the right type of parking to suit your needs and budget. If you travel regularly for work, you can drive to main London airports like Heathrow, Gatwick and Stansted for short stay, park & ride and more options available to suit your business travel plans. With free airport shuttle buses to take you to and from the terminal buildings - 24-hours a day - you’ll be able to catch a flight at any time. While if you’re travelling solo, with the family or another for a longer trip abroad, you can be sure to find a friendly service every time and rest assured that your vehicle will be in safe and secure hands for when you return. How do I use my Compare Parking Deals discount code? Check out with your savings. 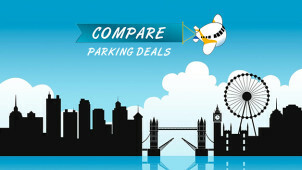 Stay in touch with Compare Parking Deals on Facebook and Twitter for parking updates and special offers too! Can I amend my Compare Parking Deals booking? Changes to your arrival date or booking must be requested as soon as possible, requests made within 24 hours of your scheduled arrival will be non-refundable. Will my Compare Parking Deals payment be secure? When will I receive my Compare Parking Deals refund? Refunds if accepted will be processed within 30-days of your cancellation. A confirmation voucher will be emailed to you. Cancellations will be non-refundable if within 24 hours before your booked arrival. Email info@compareparkingdeals.uk or call 01293 270305 in the event that you should want to cancel and be sure to check the Ts&Cs. Good value on Airport Parking can be hard to come by, unless you’ve got Compare Parking Deals on your side. Pointing you towards top quality parking providers, situated at convenient UK airport locations - book with a Compare Parking Deals discount code from us and you’ll find nothing but competitive prices too. With Meet and Greet services, Park and Ride or onsite parking options available at Heathrow, Manchester and many more popular airports - you can start your journey right with Compare Parking Deals. It pays to book frequently with Compare Parking Deals, not only will you always enjoy the cheapest of prices, but returning customers will also benefit from special discounts. Simply provide Compare Parking Deals with your previous reference number or even an email address, and you’ll be in for a world of benefits when you next go to book your airport parking. Simplicity is guaranteed with Compare Parking Deals, and we like to ensure that our journey will be fuss-free from the onset. The Meet and Greet service suits us perfectly, as do the savings available with a Compare Parking Deals voucher code. Also known as valet parking, with this service you are met on arrival by a driver who will park your car for you and bring it straight to you when you touch back down. It couldn’t be easier than that!